After a bad start, Capcom came back with the Street Fighter V Beta and I made sure to have my fighting gloves ready in the recent European server tests! So how does the game fair? 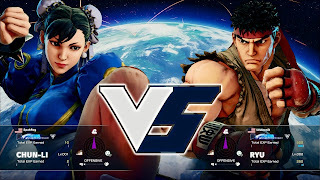 Well from a general perspective, Street Fighter V is definitely a lot easier to pick up than its predecessor and seems to be more open to newcomers, however still difficult to master and play at the top levels. Every attack has a purpose and I believe that's the thought process this time around, the idea of sticking to your guns. A lot of what you remember from IV has been stripped away. No focus or super attacks, so now you are expected to commit to every button press making it a mix of skill, strategy and luck. In its place, some new options have been added, which I'll be going over what they do. To better explain how some of these new mechanics work, I'll be using Ryu as an example as this is the character I used the most in Street Fighter IV, but its also the character that I was instantly able to identify any changes done to. S.HK no longer changes depending on distance from opponent, now is done with button commands e.g. Close S.HK is now done by pressing kick and directional back together. New changes also include his V trigger, which puts him into Denjin Mode! This is shown visually by his fists emitting electricity. 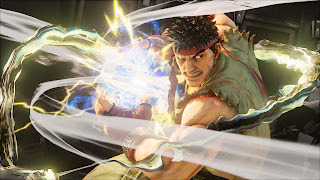 In this mode all his moves do a lot more damage, especially the Hadouken which can be charged to break the opponents guard. A lot like Gouken's. Lastly his critical art, Denjin Hadouken is basically his Metsu Hadouken, minus the evil power. It can be done with his V trigger to cause a lot more damage. Ooh before I forget, Ryu can also parry opponents attack, similar to what was available in Third Strike. He's the only character in the game that can do this. He's like all MEGA HADOUKEN!!! Other than those, most things from Street Fighter IV remain (obviously not the focus attack), so the super meter and EX attacks are back. New system changes would be "Counter Crushes" which work like standard counters, but deal more damage, some which timed properly can stun your opponent completely. Speaking of stun, there is a meter for that too and once you fill it up, your opponent will be seeing stars. The character you pick will be the one you use during the actual matches, so pick well. Luckily for me, I didn't spend more than 7 mins max in the mode before I was matched up with someone, so I managed to get quite a few matches in, going as far as earning the title of "Beta Master". 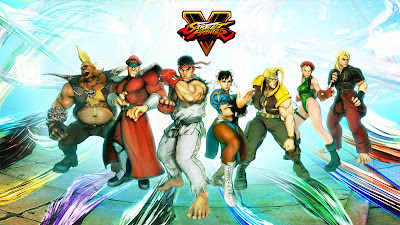 In terms of actual gameplay, each fighter brought their own characteristics that coupled with the V trigger, made them stand out on their own a lot more. I think if Street Fighter V adds more shoto's, V trigger will definitely help distinguish them a lot more compared to IV. The matchmaking seemed to work out pretty well and during the initial stages, I seemed to be matched up with those who've had none or very little points. As I was getting better and more used to the mechanics and such, it was only then that the heavy hitters started showing up and this was a transition I really liked as it was constantly giving me better challenges. Slick new character select screen. The actual matches themselves ran smoothly and I think out of the 30 odd matches I took part in, I probably experienced a dip in FPS in 3 or 4 of them which is really promising, however the dips I did experience were really crazy; as one moment I'm throwing a fireball and then a second later, I see myself getting thrown into the corner. Hopefully this gets ironed out later on. I think the one character I had the most trouble was Bison, as he seems to have been the one to have received the most changes, making the character almost unrecognisable, His Critical Art is also pretty incredible as it comes out so fast and covers quite a bit of space, so for those of you that like to jump; watch out! As mentioned earlier, the beta itself didn't have the greatest starts, causing Capcom to take the servers down, fix it and then only make it available in specific regions before releasing it to the world. Now in most cases you would think, "well that's a problem right there", however the fact that the beta initially failed is the best thing that could have happened, because I'm sure Capcom wouldn't have liked this to happen on the full release. Speaking of Rainbow Mika, she was actually just announced to be part of the roster today, and a new trailer was released showcasing what she will be bringing to the ring.